As people are living longer than ever before, the associated health and care needs particularly of the oldest old have risen. Whilst most older people will always live at home there will be a percentage who need long term care. Most long term care for them is provided by independent care homes but their access to NHS services is inconsistent and determined by local custom and practice, rather than the particular needs of the care home residents. According to a new study led by Professor Claire Goodman from the University’s Centre for Research in Primary and Community Care (CRIPACC), care homes and NHS healthcare services must work more closely together. 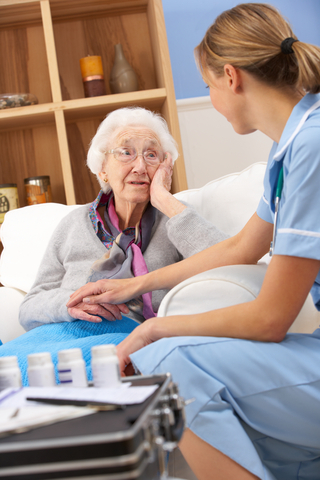 Closer working and better integration of NHS services can promote more effective healthcare of older people living in care homes, yet tensions exist between the ways that the NHS services and the care homes provide care to older people. NHS services need to see care homes as partners and not just the solution to the problem of where to place older people who can no longer live at home. For care home residents, the recognition and inclusion of care home staff or a relative in the discussions on their health care needs provides support for a more resident-focused care service. The three year study in collaboration with the University of Surrey, Lancaster University, Brunel University and University College London, is published by the National Institute for Health Research Health Services and Delivery Research (NIHR HS&DR) Programme. A really great step in the right direction. It's about time the elderly were taken more seriously. I think it is extremely important that care homes work with the NHS.